This year Navratri was from 8th to 16th October. 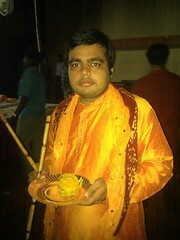 Compare to previous two navratri (2009 & 2008), this year I played more Garba & Dandiya. I played for 7 out of all 9 nights. 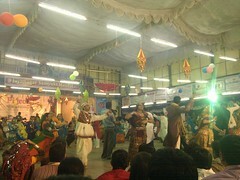 This year also I went to Jayanagar Syunkt mandal organized function along with my friends. Once we went to Palace Ground too and played garba at venue orgainzed by Gujarti Vasihanav Samaj. We ate (good amount of) fafda with sambharo and marchi and (hot) Jalebi on Dasara. All and all, to enjoy garba in Bangalore, Jayanagar and Palace ground are best palace. Obviously this year too, during navrati, I met more new gujarati people in Bangalore and had nice time with them. Hey buddy thanks 4 dragging me along with u….